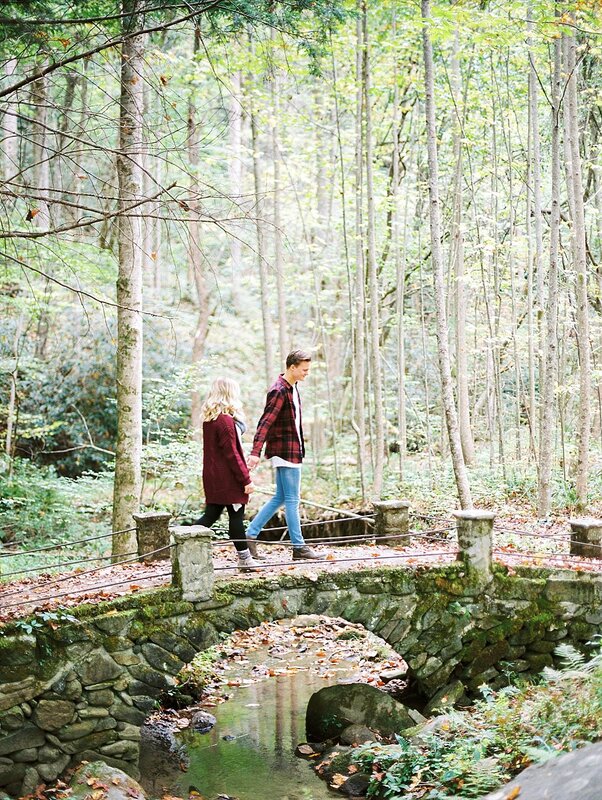 This adorable Memphis couple made a trip to the Smoky Mountains and asked us to capture some engagement photos with the National Park as the backdrop. 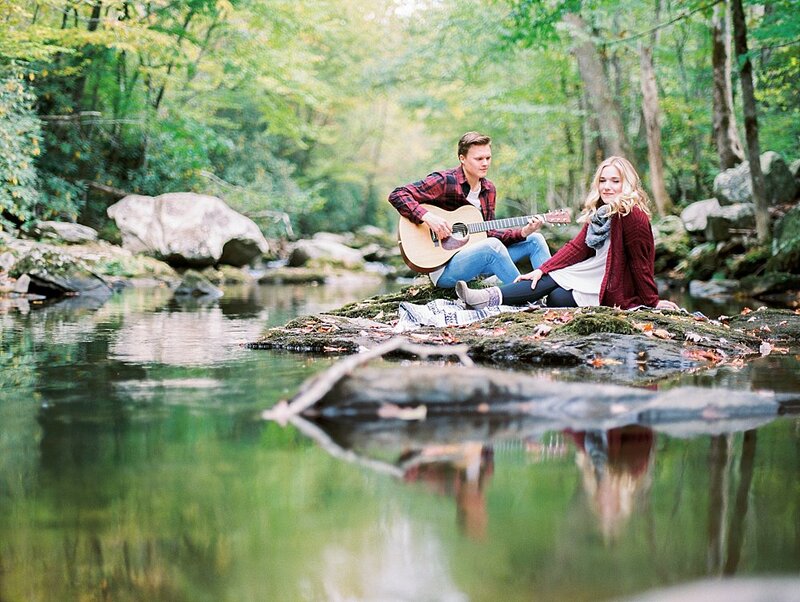 Olivia and Austin are a sweet, fun loving couple, and these images bring a smile to our faces. Their burgundy outfits and shades of blue popped perfectly against the changing fall leaves. 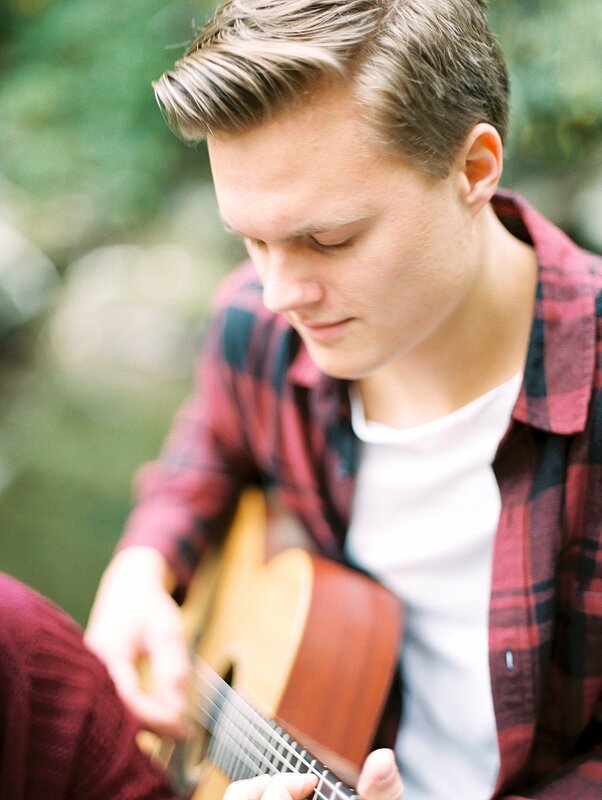 The most memorable aspect of this shoot, however, was the incorporation of Austin's guitar on the rock amidst the flowing creek. 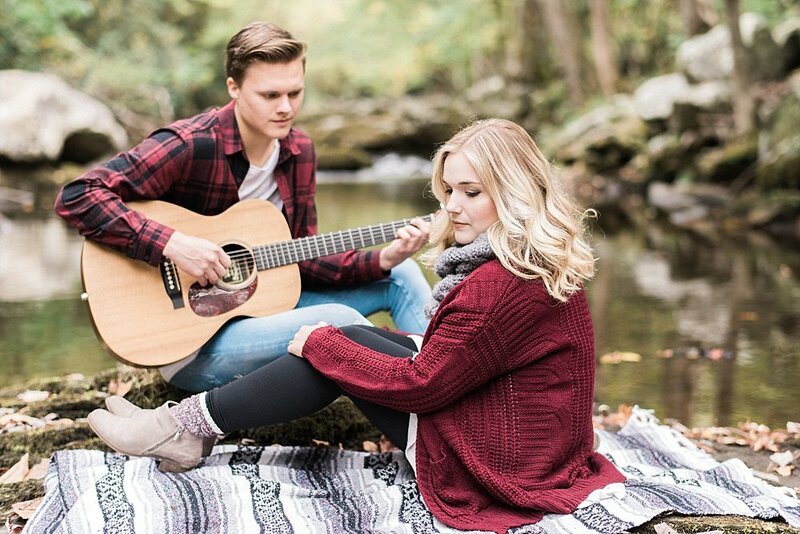 Olivia is one lucky girl as Austin regularly serenades her, and we were so excited to bring this aspect of their relationship to life through these images. 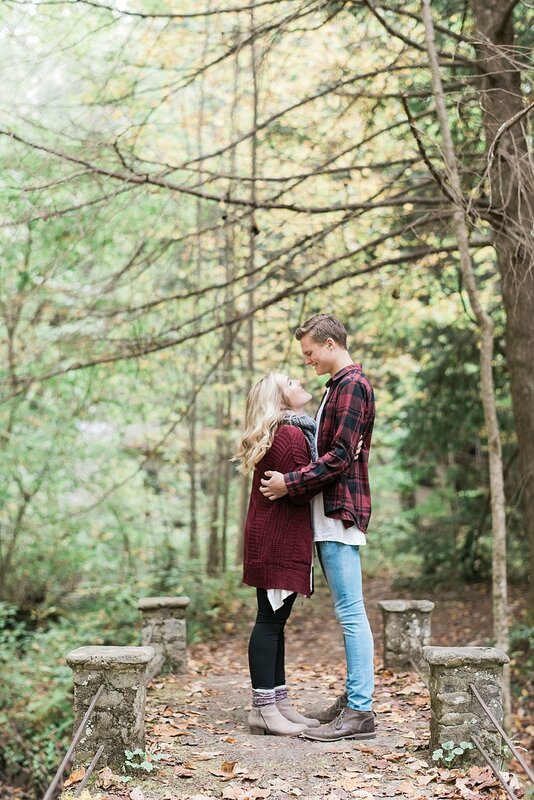 We are swooning over these moments with Olivia and Austin, and we want to wish the cuties a big congratulations again!